This is how Mi brand compares against other brands across various price points. This ranking is based on popularity of all Mi products in that price range. Click to see top 10 products from Mi in different price segments. This is how user sentiment of various aspects of Xiaomi Redmi Note 3 (Dark Grey, 16GB) compares with similar products. Green indicates that sentiment is as good or better than other similar products. Red indicates worse user sentiment compared to competition. "Great budget phone with lots of bugs." "Best value for money smartphone"
"Nice phone and above expectations." "The best budget smartphone , EVER !" 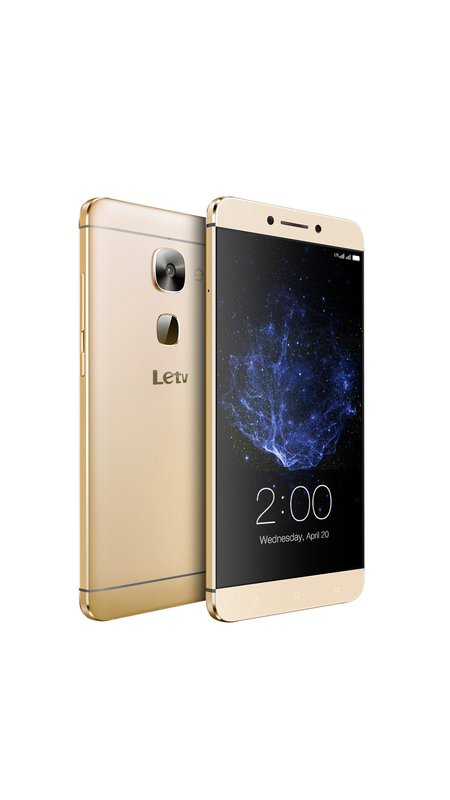 "Overall Quality and specs of the phone is good. 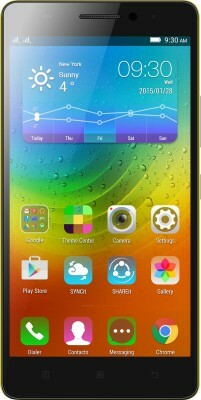 But the OS optimization seems not be done ..."
"And the best part of this phone is........ that it is MADE IN INDIA !!! Yes, a Chinese company manufacturing in INDIA." 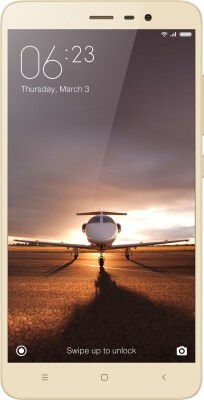 "Built and look wise its an awsome phone. 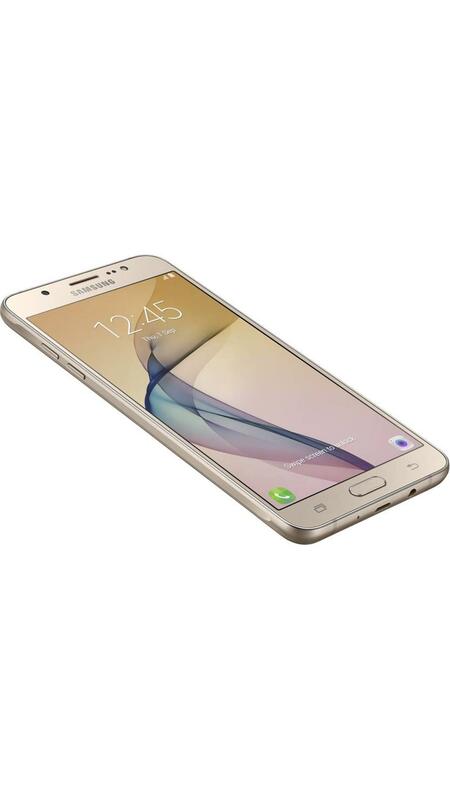 in this budget phone is very good"
"Best phone in the price range. Made in INDIA too!" "Excellent phone in this price range." "Battery backup is very good. The phone with heavy usage ran one day ..."
"This phone's right when money's tight"
"Great phone with some drawbacks. For the price it is offered - a must buy phone." "a phone is only built well if it gives a great in hand feel"
"Awesome mobile, many feature in very low price." 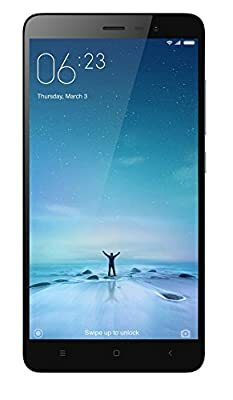 "Great phone at this price"
"A best budget smartphone with all features"
"Great Budget Phone with High End Services"
"Phone is good at this price"
"Awesome phone at best price Excellence performance looking Good"
"Best phone for the price"
"Everything is fine and a overall great phone 3 disadvantages mainly 1"
"Bestest best phone ever in this era"
"Very good mobile with scope for improvement in usabiity"
"Packing was good. 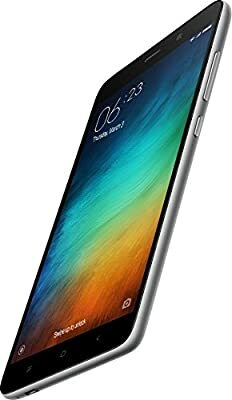 As always MI made an excellent phone with ..."
"Best Phone Under 10k!! can bet anyone for it.."
"A good phone with minor issues"
"Awesome Phone. Beautiful metallic looks"
"Good mobile, charger is not qualitative"
"The Best ever form Phone from Xiaomi ever"
"Redmi Note 3 - Amazing Phone, Best Specs and a huge competition for other Manufacturers"
"I would recommend this sweet phone after 2 months of usage"
"Best phone for this price :)"
"Moto G2 camera quality is really good compared to this phone"
"Phone looks nice Heating is there while charging sometimes not always Heating ..."
"EXCELLENT PHONE WITH AFFORDABLE PRICE TAG." "Phone is very nice only three things need to improve." "Very awesome phone. 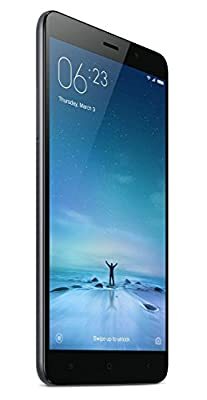 Feels so light compared to it's size"
"Awesome phone no heat no lag camera is awesome finger ..."
"i love the performance and the phone is very good but ..."
"Amazing phone. 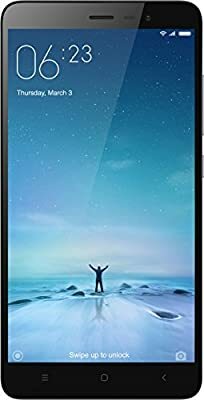 Its been a month and the performance ..."
"Good Phone under 10k but dont expect too much from it." "Good looking phone, now good performance after software updates!" 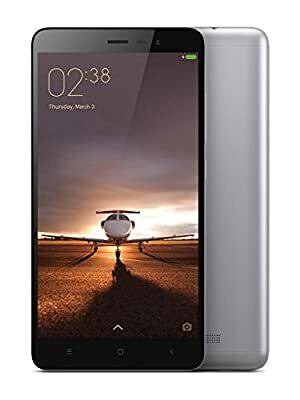 "redmi note 3 is superb phone for the price range ..."
"Great phone...The BEAST has come"
"The fingerprint scanner is super fast and the specs being offered at this price ..."
"GREAT PHONE ABOUT BUDGET 10K or 12K!" "Innovative and fluid phone. Total value for money"
"Nice phone in its Price Range." 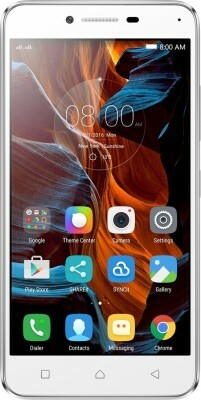 "hi iam bying my first smartphone from amazon this is a killer phone trust me i have cross checked over 100 phone on this price range hasnt found any better only problem is u cannot move apps to sd card but tha is not a problem for me by perfomance its the best smartphone u get in this price range im waiting for it after getting it i will post another review about the service etc"
" I opend the box to find a decent looking phone(i wanted GOLD color but Mr"
"I purchased this device on the 9th march sale the dark grey (16gb) version, and believe me guys this phone is worth buying"
" Overall performance is good and even the battery drainage is less"
" I dont feel any lag on my phone til now-front camera is as like as 5 mp-fingerprint sensor is awesome"
"-there is no signal error in phone after inserting 2 sim, but I'm using one sim and one memory card"
"But your 10000 doesn't going to waste, trust me phone is just superb according to price"
"If you're looking for best performance phone go for it"
" Slippery back cover which you cannot sure about of holding the phone properly"
" Very simple and sleek design, Overall good build quality, metal made, available in many colors and only ~72.4% screen-to-body ratio"
" 16MP rear camera | 5MP front camera are not the best camera but it performs better than many phones and best at this price tag"
"---------------VERDICT:---------------Overall this phone is the beast I must say at this price tag, It clearly beats all other phones in same mid-budget segment"
" great phone and great quality even the first piece"
" All other features seems pretty decent for a phone under 10k"
"First let's see the pros that make it the best value for money phone currently in the market"
"Still this cons doesn't take away the crown of best value for money smartphone in the market at present"
"update after new update and rigorous usageThe phone is running fine but some little issues have come to my notice"
"It's Great Phone has 10K"
" The fingerprint scanner is super fast and the specs being offered at this price point are pretty amazing"
" The overall performance of the phone has been pretty good so far ,hasn't hanged or slowed down so far"
" Then thought 16 GB with 2gb RAM , it's enough to use a mobile"
" Becoz every day new or any other better phone Is coming to market"
" I'm using this phone there is no problem"
" Build quality is also great, it feel like a premium phone in hand"
" Availability: The phone is available by flash sale"
"However, comparing the device with other devices at its range and as per price to performance ratio it is the best phone and it can be given a rating of 9.5/10"
"After the software updates, and updating all apps, and finally a restart, the phone is working fabulous"
"Good Phone &#62; Worst Phone"
"Before going ahead and ordering the phone, like of you I did a lot of research reading reviews here, on review sites and watching youtube video reviews and on and on"
" Mobile looks cool and premium in build2"
" External speakers not so loud as rest mi phones"
" For 10k price range it's the best handset one can afford"
"Simply the best smartphone in 10k"
"i love the performance and the phone is very good but packaging by amazon is bad, i think xaiomi should release it through fipkart or snapdeal instead of amazon"
" For the price, this phone is outstanding"
"Awesome phone no heat no lag camera is awesome finger print also"
"I'm an Apple person myself, but needed to buy an inexpensive phone as a gift"
" Over all good phone in rest parameters"
"Overall a great deal and I liked the way amazon is hosting flash sales"
"Phone is very nice in price range all the features good but, only three things i don't like in phone"
" But overall the phone is awesome, with good processor, sound quality, battery life, a nice camera"
"Excellent phone with affordable price tag"
" The processor as well as camera on this phone is very good as compared to other phones with same price tag"
" And never use phone while charging allow the phone to charge up totally and you will notice that the phone doesn't gets heated"
"Now coming to the phone, it's better than I expected"
"Also this phone really looks good"
" Moto G2 camera quality is really good compared to this phone"
" I dont know much about technical specifications but I am completely satisfied with this mobile"
" Games I did not test but working of this phone is very good"
"its best phone, in all aspects this beats any other phone in the ring"
"The best phone for this price :) excellent battery, no lag, fantastic screen and color, good camera"
" Provision given to store more than 6 fingerprints so that we unlocking a phone is much user friendly"
" Even Samsung galaxy core's 5MP camera (my earlier phone) servers better than this Note 3 rear camera"
" does it makes the phone good looking"
"I observed that phone is becoming like hot iron box when I watching the online videos for 2 hours"
" Otherwise, this is a best phone under 10K price"
" I would recommend this phone, due to build quality, features given, battery life, and OS of xiaomi which has lots of settings"
" The phone is the best you can get in this price tag"
" The fingerprint sensor helps you unlock the device in an instant and the miui helps you customize the phone which is great"
"First of all thanks for the prompt delivery of the phone by Amazon"
" This is the best phone for Rs 10000"
" I really love this phone"
"This was my first MI phone and I'm amazed with this phone"
" I'll surely recommend this phone to my near and dear"
" I'm eagerly waiting for new phones models by Xiaomi"
"Hi,I got this device on 4th April and its up to the mark, The best phone for everyday use, Here's my review"
" The battery backup is also greatI got the Dark Grey version, the overall device finish is top notch"
"The build quality, top class specs make this device a great buy for 10k price tag"
"So if you are a normal User , This phone does the job pretty well and doesn't disappoint at all and can be recommended"
"The Best ever form Phone from Xiaomi ever, The cool features it provides is just amazing, Its Super IR blaster, and the 16 + 5 MP camera is stellar"
" At this price range is the best from all phones"
"The mobile is good with a good battery backup, but the charger is not qualitative"
"If not for the low quality charger, the mobile is good and recommended"
" The phone looks cool and simple (silver color)"
" It is best and buggest features phone"
" It a great phone launched by xiaomi"
" Best bugget phone i will buy from Amazon again when it will come in stock i am waiting Eagerly"
"It is a great phone"
"What people gave comments in Reasons to buy-&#62;The specs sound perfect&#62;Camera quality is good&#62;Large screen&#62;Finger print sensor&#62;Specs of a expensive phone at a cheaper priceNOW HEAR THE TRUTH-If you've bought this phone, I did too, then know these things -1"
"The company is not lying, the kind of material used and the chipset is equivalent to that of what they're saying but if you see mobiles like xperia z2,3 etc"
" But yeah for this phone the battery is sufficiently good"
" Even done of sony, Samsung top phones"
"Phone features and specs are far better than Samsung J series and performance is better than MicroMax phones"
"i purchased it for my mom she uses it for youtube email whats app and bit browsing so highly recommend this product for avg users an dthose who can take good care of their phone"
" sent back for replacement hopefully ill get faultless phone this time"
" Overall phone feels really premium and sturdy with the metal back"
"Great Phone at best Price"
"Sim worked properly in previous phone"
"Satisfied with the phone and in some departments just loved it "
" i am in love with this phone"
"i can play games and do a lot of internet works without getting my phone heated"
"everything about the phone is good"
"having a good time with the phone"
"As always MI made an excellent phone with decent price"
"A wonderful phone indeed and however I was no fan of Mi, I think I am turning into one"
" This is common these days in all the phones (Was using Nexus 5, and it also had the same problem), but Mi has done good job in keeping the heat at a level where the phone is usable"
" But I don't complain as the phones in higher price band as well face the same issue"
" In India we are used to getting earphones free with the mobiles, but Note 3 does not have one"
" In true aspects winner amongst all mobile phone for this quarter till June 16"
"13 mp camera mobile is much better quality with 16 mp note 3 phone "
" And we also forget that we expect phone to be cool, when the outside temperature is boiling"
"The camera of this phone is quite good in daylight images and performs well as expected"
"e double tap feature to wake and lock screen should not let themselves down because the scanner at tha back can wake up the phone faster, securer and efficiently than the double tap to wake thing as in DT2W it uses more battery consumption as the hardware has to be stay awake for any contact with the screen, while here its only a small sensor"
"Redmi note 3 is one of the best smart phone are selling in the indian market it comes with the 2 variant 2GB RAM +16GB ROM and 3GB RAM + 32GB ROM in three different colour gold silver or grey It comes with 5 kind of different sensor with fully loaded features top 5 best selling phone similar acording to feature are"
"Everything is fine and a overall great phone3 disadvantages mainly1"
"1) Superb fingerprint sensor, wakes up phone instantly"
"4) In this price, overall features with nice metal body"
" Battery bank, Camery, Ram, Processor are fantastic for a budget phone"
" my previous phone Samsung galaxy grand could will not have singal bar"
" still the phone is good with battery bank"
"Found the battery capacity to be the best feature of this phone, or else feel duped as find that cannot have both second sim and external memory card as advertised"
"Awesome phone at best price"
"Phone is good at this price, very fast, does not get hang"
" Given the price its still the best phone one could buy considering the price to performance ratio"
" Most phones are good at certain aspects while bad at others"
" I heard this is an VoLTE phone and I was like woooooowwwww"
"Well, better than my OnePlus Two (IMHO)- There's an dedicated app right out of the box from Manufacturer for the IR to work and it worked fine on the Samsung AC I tried with Peel RemoteBATTERY- Can easily get through a day- It gave me 5+ Hours of Screen On Time (SOT) (Medium usage + Downloads)BUTTONS- Yes, They are Backlit and they work just fineSTORAGE- As y'll know It comes with Hybrid SIM Slot so either you have a choice to use Dual Sim or put a SD card instead all it comes down to personal choice and it supports up to 128 Gigs If you can afford it :PCPU and GPU- CPU used is Qualcomm MSM8956 Snapdragon 650 and GPU is Adreno 510- Well Snapdragon is a relief I mean in the low prices phones generally manufacturers use different CPUs other than Snapdragon in order to cut down the cost but in this mobile it was a relief to see Snapdragon is used- GPU is also just fine and most of the big title games work with almost NO lagBottom Line - It's a Bang for Buck Mobile and probably the best under 15K smartphone segment so, Just go for it"
" Great phone under 12k"
"Considering the competitors such as the lenovo k4 note, le 2 ,moto g4 plus this phone outperforms all of them with ease"
"App And android software is not too good like branded mobiles"
" Even my older 'unsmart' phones had a better camera than this one"
" I also miss some features of my previous Samsung phone like right sweep=dial contact and left sweep=message"
" But overall, a good phone"
"Great phone at a great price"
"Awesome mobile, many feature in very low price"
"Superb phone with beasty premium features"
"Look wise the phone seems to imitate a bit from the Apple series and thus gives a premium hold"
"The budget smartphone segment has been pretty vibrant over the past few years and the stakes seem to be raised with every passing year"
" When you look at this group, you can quickly judge how fast phones in this segment have evolved"
" However, it would be unfair to generalize it because the phone is never stressed enough to get hot over normal workloads"
"Much more better phones are available in market"
" Setting up the phone was extremely easy"
" Phone is awesomely designed, gold color looks cool"
"this is a premium phone but for a 10K"
"My) phone never hangs although i open multiple apps and games at the same time "
"MIUI (Software UI of the phone)is good in looks and usage, but has a high memory consumption"
" I am also quite impressed with the overall experience"
"If the camera would have been better then there is no doubt it will be the best phone in 10–15k category"
"- One of the fastest phones I've ever used"
"Overall, if you are thinking for a great smartphone which is reliable, powerful and in budget, go for Xiaomi Redmi Note 3 over Lenovo K4 Note or Moto G4 Plus"
" Now I am utilizing it for more then a month and mobile is working excellent as expected"
"It's the best phone to buy for 10k"
" Very simple and sleek design, Overall good build quality, fully metal made, available in many colors and only ~72.4% screen-to-body ratio"
"I have used almost every brand phone available in India and this is my second xiaomi phone 1st was redmi 1s"
" Trust me it's the best phone I have ever used"
"This phone is more than perfect for ₹12K"
" However for the prize this phone is a steal"
"And the best part of this phone is"
"Overall Quality and specs of the phone is good"
"In the history of smartphones, this is a clear winner as the best budget smartphone ever "
" It may be best to flash complete ROM than applying OTA updates - this keeps the phone in a top notch condition"
"Snapdragon 650 is 3rd best mobile processor after 650 and 820 is no issues in UI while using"
"In spite of some negative reviews, I find this phone awesome and according to my expectations"
" So far I did not find any problem in this phone"
"A very good phone by xiaomi"
" This phone is very sensitive to water"
" Mine phone is working fine"
"The phone is almost as good as they say"
"Who ever is using all phone are satisfied rather happy"
" everything is awesome , words are few but this phone is must buy product"
"Great budget phone with lots of bugs"
" 13000): Don’t buy this phone as it has the same specification as the Meizu m3 note which costs around Rs"
" 9999): Only the processor is of low performance otherwise the phone is really good"
"Yes, you can definitely go to buy this phone if you don't like xiaomi"
"Poor delivery and pickup and phone has technical problem"
"Not so good.. Don't buy mobiles in Amazon.."
"phone is getting heat when it is kept on charging ..."
" in 10 min the phone started to heat up like boiler"
"Hi viewersJust as an feedback I'll suggest not to buy this phone as I bought this & got trapped as its been 15 days only I'm using this phone and heating problem is the main disadvantage on using fm for mere 30 mins phone got extremely heated and then was switched off its till now its not working wherein I've not installed any app &even memory card"
"Phone is not working properly and when contacted Mi service centre they are saying that it will charge 3000 to repairIt's new phone and in guarantee so why this"
" The speaker is placed on the back side and the output from the speaker in all Xiaomi phones is average or below average in this case this phone won't be audible in the noisy environment and from the another room"
"Overrated phone,Phone wasn't charging, simultaneously battery was draining pretty fast"
" Battery is an issue with smartphones today"
"SIM 1 + SIM 2ORSIM 1 + Memory CardIf anybody want to use Both SIM 1 , SIM 2 with memory card then please don't buy this phone"
" And i was using a one plus one before this, so it doesnt really feel like a downgrade in real life circumstances even though the spec-sheet might disagree"
" Heating Issue: Phone warms up with normal continuous usage of 30-40 min"
" (36-40 degrees) but when heavy apps which involves continuous hardware usage like camera (on for 15-20 min) are run or heavy games are run the phone heats up very much (almost 44-46 degrees),which is not likely to gamers"
" Low light friendly rear Camera : The one on this phone is not really suitable for low light photos as it can get really noisy"
" Network problems plague this phone to a great extent and you get several dropped calls in a day, even in areas with strong network availability"
"Mobile is producing excessive heat during charging and if we are having continuous calls; the processing doesn't look like 1.8 dual core, as it looks like equal to Redmi 1S; better to go with 32GB of internal storage as much of the space given for users has been taken by OS itself"
"The processor of the phone is very gud, never gets hanged, battery backup is awesome, It can give 2 days battery backup with continous use, something that lacks behind is the camera, the camera could have been much more better, although it gives excellent quality pics in day light but it could have been much more better in low light conditions, sometimes the phone gets heats up deliberately while charging but it's not a big issue most of the phone gets heated up like this nowadays"
" People are complaining that phone gets heated up while charging, so i would tell them that the phone gets heated while charging only when some background apps are running, if wifi, data, GPS is ON"
"Logon ne 4-4 sim wale phone bna diye or ye dual sim me bhi kanjoosi kar rje hai( joking)At last phone 3 star ke kabil hi hai"
" Screen resolution as in their other mobiles, very dull"
"Amazon has a new policy of no refund on mobiles which means we have to use the same mobile though we don't like it"
" otherwise backside of the phone exhibits some heat"
" when I tried to watch the T20 WC in Hotstar application via wifi, backside of this phone is got heated (without back cover) within 2 hours"
" I bought dark grey coloured phone"
" So finally I conclude that if you are a camera lover don't buy this phone"
" I didn't find any heating issues on this phone except while charging this phone"
"I am giving only 4 stars considering the UI (consumes lots of ram) and camera performance (specially at dark) which are the main downsides of the phone"
"So guys beware and choose phone wisely"
"I got defective phone when ordered on 20th April had a battery problem"
"Overall not fully perfect, with minor issues"
" It's hard to get the phone in flash sales in one try (Xiaomi's less stock to blame), but it is worth the effort"
" Don't expect it to be thin as expensive phones, but I can totally compare it to them"
"- The phone heats up when used for long time ( continuous use for an hour or so)"
" Additionally, we cannot expect the Camera performance same as that of expensive phones for this price"
"if you like camera feature in your mobile please don't buy redmi note 3"
" After booting the phone you surely miss the app drawer, but as we use MIUI it gets going easy to operate the apps from the home screen than the app drawer"
" People who say it gets heat up while charging, are not totally wrong, but I would clear some things here see what happens is that it has a metal body and metals are good conductor of heat, any phone while charging heats up but we do not notice it because they don't have metal back, here we feel heat because of the metal back"
" Which I didn't ntook because of while I phone became useless after felling in water"
"It's heat up very quickly and hang phone while you are playing any game I really don't like that product and also very bad experience from customer Care Centres"
" There is no perfect phone"
"\\UPDATE- I can see that many people here have the same signal issues when inserted dual SIMs so It's the phone fault not the JIO network- Many people here are complaining about Heating issues"
" Amazon don't have good delivering and pickup,I receive the phone after one weak and I submit for return on 9/04/16 but still not pickup done on 13/04/16"
" No lagging and hanging of phone so farDESIGN OF PHONE- Looks like high end mobile phone MI has done good job while designing this phoneIR BLASTER- Compatible with many devices, you just have to tune it for first time then enjoyCons:SPACE PROBLEM (Both RAM and ROM)- ROM :Out of 16 GB only 9 GB is available of use, If you Carry lots of Videos on your mobile go for 32GB version or get Memory Card and Compromise with Second SIM Slot"
" I tested opting 20 apps, and switching between them Suggestion : Never rush to buy a phone at the time of launch, wait at least for 2 months and look for the initial reviews, unboxing videos and problems faced by the first buyers, and then only buy a phone and also the updates provided by the company in order to solve the issues"
"Many people are complaining about the heating of phone while charging and playing games"
"I was initially apprehensive about buying this phone (Redmi Note 3, 3GB RAM/32 GB storage) & did some basic research by comparing online with few more phones in same league"
"Phone giving lots of problems"
" Yeah the only problem is rooting this phone is not so easy n the bloatware is also locked"
"full metal body what a joke,the phone feels very cheap in hand,a phone is only built well if it gives a great in hand feel,the back is extremely slippery,and i really dont understand whats all the fuss about slimmer phones,its really doesnt give a good feel in hand"
"The handset heats up a lot while charging ,you may get afraid ,Thanks God"
"Friends ,Its an very average phone ,only difference with other phone is substandard finger scanner "
"phone does get heated up while charging but otherwise it doesn't"
"3 battery life is so awesome that I can say confidently there is no other better phone than this which has such battery life, for a normal user it can very easily last for 2 complete days"
" If phone get fall down it does not get Brock easly"
" Some time product get damage for some from manf- so this mean not that all phones are heating bad dull"
" But my friends phone got damaged"
" service center told that water damaged the phone"
"Phone getting over heated while in outdoor sunlight heat bcz of metal body , my screen broken even i drop half feet above so no protection for screen such a large display it easily get broken , while send to service center they asks 4200 for display only , poor front camera"
"Value for money i was going to purchase some other expensive phone nut after using it i am totally satisfied with its amazing features, UI , and battery is superb"
"Suggestion : Never rush to buy a phone at the time of launch, wait at least for 2 months and look for the initial reviews, unboxing videos and problems faced by the first buyers, and then only buy a phone and also the updates provided by the company in order to solve the issues"
"Conclusion: initially I was skeptical of buying this phone but now I can say it worthy of a 12k price tag"
"In the recent past several new phones has been launched, such as"
"Best among the segment n best battery performance"
" 4050mAh battery offers an awesome backup"
" Big 4050 mAh high-capacity battery coupled with power efficient Qualcomm Snapdragon 650 processor and the battery saving features of MIUI makes it one of the most longer battery life smartphone"
" Bundled with good quality 2 amp charger"
"* Charging time: there is Qualcomm fast charge 1"
" But sadly that is not fast compared to today's standards where many devices are coming around with fast charge option"
"★Display Full HD with sharp app★Good Battery Backup★Support 4K video in using Google Camera or Open Camera App★Good Metal Body with design★Good Performance"
"6) Nice battery backupCons:1) One micro SIM + One nano SIM OR One micro SIM + Memory Card2) Heats up while charging and long time talk"
" Battery life is very good"
"Battery is superb and runs more than a day"
"Great battery backupFingerprint sensor is gudSounds great with my skullcandy earphonesCamera quality is gud but not enough gud in low light"
" Its about 1Gb update, which improves all performance including battery"
" Battery doesn't die for 2 days (average usage with LTE)"
" Integration of light sensor is perfect which protects from battery drain"
"Battery backup:The best feature in this device is its awesome battery backup"
" Good battery life, amazing display"
" Very good battery life"
" I choose to buy Redmi Note 3 for Its amazing massive battery life"
"Xiaomi redmi note3 is an excellent peoduct with various new feature,like fingerprint sensor,strong battery life,bright display,slim phone Technology, hybrid sim slot,4gb ram and much more"
" Battery is good and long lasting"
"Superb performance, Long Lasting Battery, stylish design and Camera Quality"
"Flawless battery easily one and half day moderate usage"
"battery life is very good and there is not heating problem with my device"
"Battery is excellent - Good 1.5 days backup with 1"
" Battery back is good"
" Charge last pretty long"
"- A Huge 4060mah battery is worth a mention"
" Premium quality, awesome display, impeccable battery and fast charging"
" Good Battery which lasts easily a day"
"7) The battery life is phenomenal"
" No lags great gaming experience battery is great lasts for a day about 1.5 GB ram is avlaible when all apps are closed"
"Sol: It's better to charge when the fan or ac is on so that it does not heat up too high"
" Best part is the battery"
" Battery is really good"
" The heft and width isn't too much (at least lighter than my OPO with a bamboo back) and certainly worth it considering the battery size"
" Excellent battery performance, heavy use of wifi and data service"
"Battery life is amazing im getting 8hr of screen on time easily and it charges 0 to 100% in 1hr30min"
" The battery is beastly for sure, easily lasts for more than 24 hours, i am a pretty heavy user with wifi or 4g on all the time"
" While charging i noticed the charger heats up a little but the phone remained normal"
" Even though this is hexa core processor, it is not effecting the battery to drain quickly"
" The charger makes a hissing/screeching noise when connected to the power supply"
" battery drains very fast 98% to 50% it took 30 mins to drain and from 50% to 0% took 15 mins if I reboot it with out charging it shows 98% battery"
"It heats during battery charging for 1st week then it doesn't heat"
" Also, it loses out on the battery front with its smaller battery"
"i don't use facebook messenger as it drains your battery fast"
"Previously the phone took exact 3 hours for charge in idle/standby mode,but it takes more than 2 hrs after new update"
These are the sentences extracted from user reviews talking about camera aspect. Click on review lines to read full reviews. 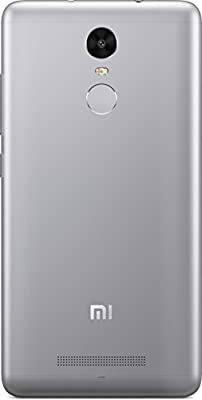 "I found camera is good as compared to muizu and processor to"
"The photos gives a excellent screen time of 8hrs with wifi in"
"Photos and videos are good. call quality is OK"
" I give the camera 8/10"
"Camera: very good in daylight, good in night"
" I'm attaching pictures of both for better understanding"
" Redmi Note 3 has better 16MP primary camera sensor but K4 Note and L1 1s has 13MP primary camera sensor4"
" Dual tone flash gives a better exposed picture in darkness"
"* Make the camera performance a little better especially in low light conditions"
"* the camera is little improved in low light but sadly new competitors have better cameras in this price range"
"getting around 6- 6.30rs screen on time* The fingerprint selfie is added to the camera feature good feature to have*The phone does not seem that much snappy as earlier"
"Ram Free About [700MB to 1GB]Pros-↓Camera Quality Okay↓Stock Camera App Not support 4K"
" Camera: 16 MP rear camera does an excellent job in outdoor and artificial (indoor) lighting condition"
" Outdoor images are sharp, vivid, clolor accuracy is good, more details observed"
"Front 5 MP camera is also pretty good in outdoor lighting condition"
" Decent FRONT CAMERA quality7"
" I have used a redmi 1s previously and in spite of being a device which costs half of a Note 3, it was perfect in al laspets - the telephony was perfect, the camera was excellent"
" Both cameras works stunning during day time"
" Cameras work pathetic during low light and indoor conditions"
"Camera is good in outdoors, average indoors with a bit too much contrast at times, the slow motion is PIXELATED"
"Good Mobil at this price point, people looking for good camera, this is not the choice n in low network area this device do not Show network at all were as same network provider in other phones have signal"
"Camera quality is awesome in day light and in dark it has grainy pixels, fingerprint for capturing selfie feature is not avaible even after updating OTA"
" Camera suddenly stops working , you have to reboot it to start it again"
" Camera is not that bad"
" Moto G2 camera / display is quite sharp and bright but this clarity is slightly dull but not a major complaint"
" Photos are also of good quality"
" Main camera like 8mp in picture quality"
" where as rear camera is working irrespective of the dual tone flash i.e"
" Even 2 MP camera with good flash is much better than this device's 16MP camera"
" Nice camera, however not that great performance under low light conditions"
"Front and Rear Camera works pretty well"
" but clicks decent pictures"
"In this price best product is redmi note 3,good camera quality,very fast,best for gaming"
" Yes, camera is great :) even the front facing camera Is great just a lil fact though, Camera has much more specs than just megapixels, check it on internet you'll be glad that you read it in time"
" Good screen, good camera and processor is lightning fast"
"Camera is superb in daylight and gets even better in outdoors (day)"
"camera is very good but more like 13mp not 16mp"
"Camera quality is good - outdoor quality is good but struggles in low light"
" Photos and videos are good"
" Good sound, Very sharp photos, videos"
"- The daylight camera pics are great"
" Camera is good but compare to Zuk1 it is less"
" This is given 16 mp camera but works like 5 mp camera (rear camera)"
"only buy xiaomi mi4 for best camera which i have never seen in my life"
" And if you can download the Google camera app you will notice image quality a far more better than system camera app comparatively at night"
", 1920x1080 and from the point of price range It couldn't get any more betterCAMERA- The camera performs very well in good lighting conditions but struggles in low lighting and dual tone flash is a plus point for a phone in this range and there's no 4K recording but Hakuna Matata"
"Camera is not as bad as other review's are saying its still Nice "
"If you are not a fan of MIUI and like stock android and want good camera performance go with moto g4 plus"
"I think the camera is decent to take selfie and other pics"
" Camera could be better but not to complain that in this price"
"Picture clarity is not sharp"
" All through Flash sales without any cheat techniques, Guy as Demand is high we need to be very quick and browser should support, thats all"
"clarity of videos, pictures are very good"
" The rear Camera could have been better"
"It) takes good picture only at day light or good lighting condition though there is lack of depth"
"It is rather better to take pictures in HDR mode,low light pictures are grainy and out of depth"
"Good side of the camera is its default camera app is quite fast to take a snap"
" Camera picture quality is very good, attaching a sample photo"
" I term of camera is all good but only 50-50 in"
", 64GB and better camera but low performance processor for which you have to spend 1500 more"
" 15000): In comparison to mi note 3 it only has better camera and experience of stock android and low performance processor for which you have to spend extra 3000"
" Better processor (SD 652), better camera and UI, lighter in weight"
"Camera quality is not good. 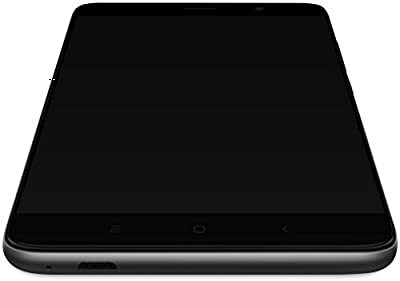 I have compared 13mp yu yureka camera with ..."
"FLASH SALE gave me Dark)"
"it being a 16mp rear shooter ,the quality is not upto the mark and even shows noise and the image gets worst on zooming as the pixels get cracked whereas the front shooter (i"